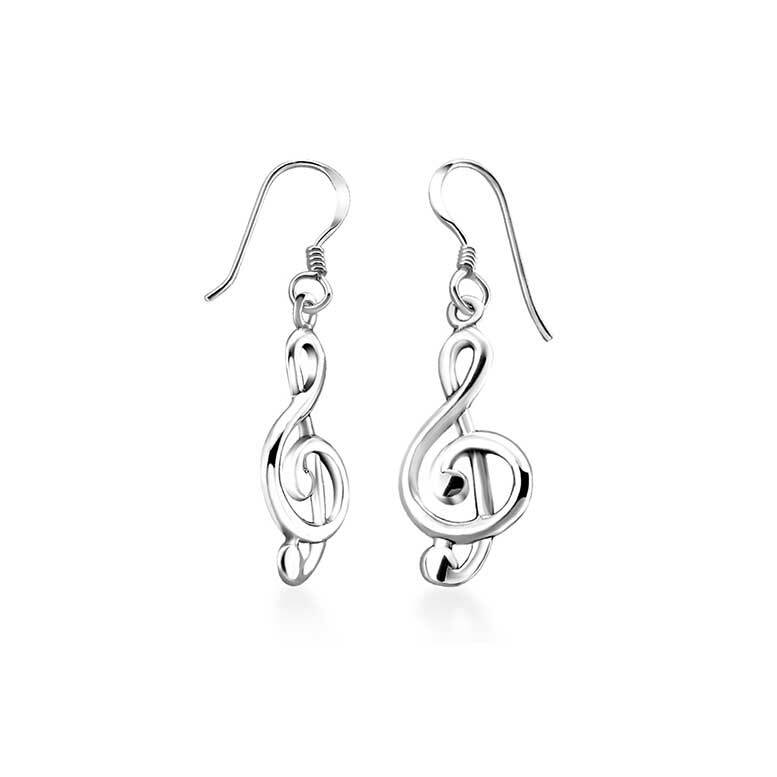 Made from the finest Sterling silver, these delicate musical key earrings are simply gorgeous. In the shape of treble clefs, these drop dangle earrings are an essential addition to any music-lover's wardrobe. Top tip: the shapely curves of the musical key really bring out the curves and angles of your face and emphasising and extending the line of your neck. If you're giving it as a gift, why not pair it with this Sterling silver musical note necklace?